Legend Trail is located in the high Sonoran desert of North Scottsdale, just a long two iron from the Boulders Resort, is the master planned community of Legend Trail. Homes for sale in Legend Trail can be found in five distinctive communities are set apart by the natural topography of the greens and fairways of its world class par 72 championship public 18-hole golf course designed by Rees Jones. The putting course is one of the better 18 sets of cups in the Valley, with lots of undulations and tiers. Sweeping vistas of Pinnacle Peak and other highlights of the Sonoran landscape make this a truly scenic course. 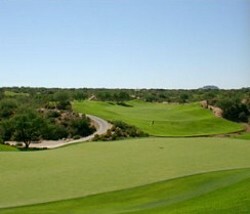 The Legend Trail Golf Course is a public daily fee course in Scottsdale.